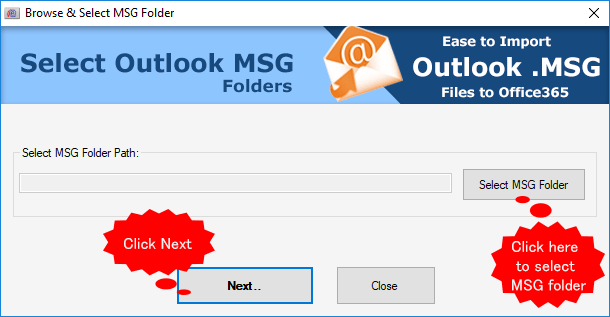 How to Import MSG to Office365? 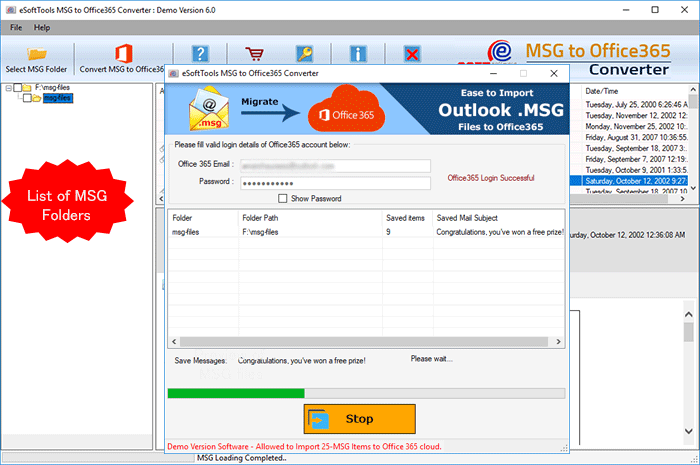 Bulk MSG to Office365 Account Migration - An instant and easy software solution to read unlimited MSG files and convert MSG to Office365 account without missing any data. 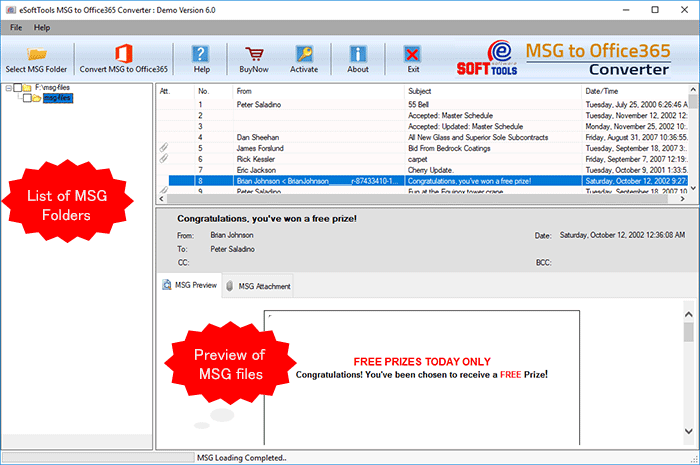 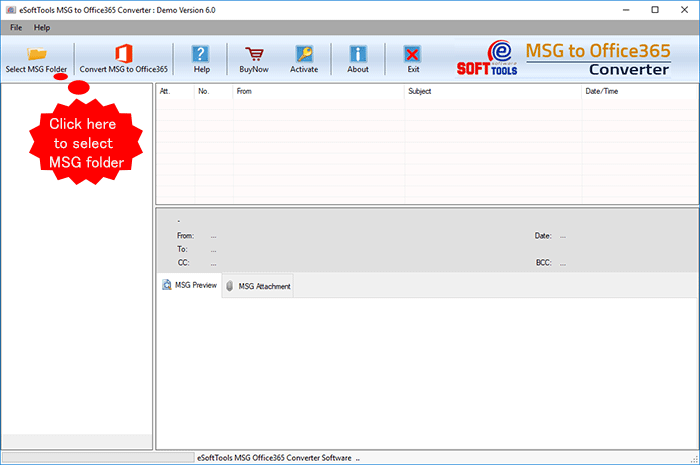 Software automatically mantains MSG message content including style, font and font-size, text formatting and transfer in original state into Office365 account. 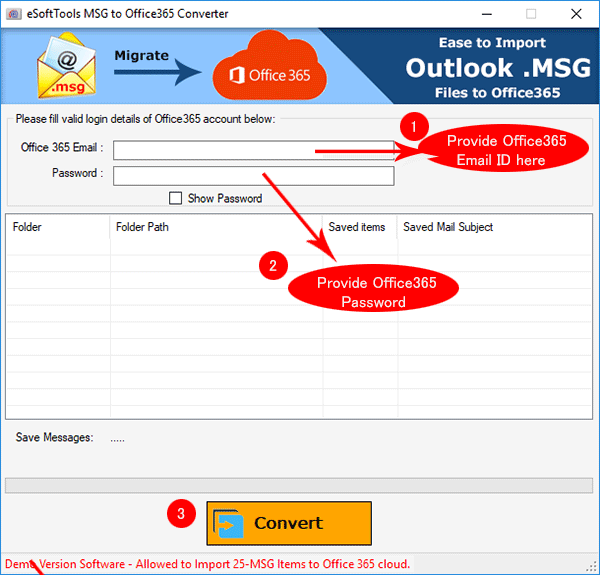 Forth Step: Provide Office365 Account credential and start conversion process. Confirmation Message: Once software completed selected MSG folder import to Office365, gives you confirmation message like below.